Does a worse sound exist than that of your alarm going off at 6AM (early bird) on a Monday morning? I know, just the thought of it makes you cringe. And we all know what happens next; snooze after snooze until you finally work up the courage to pull yourself out of bed. Getting out of bed is one of the most difficult tasks we face in our daily routine. 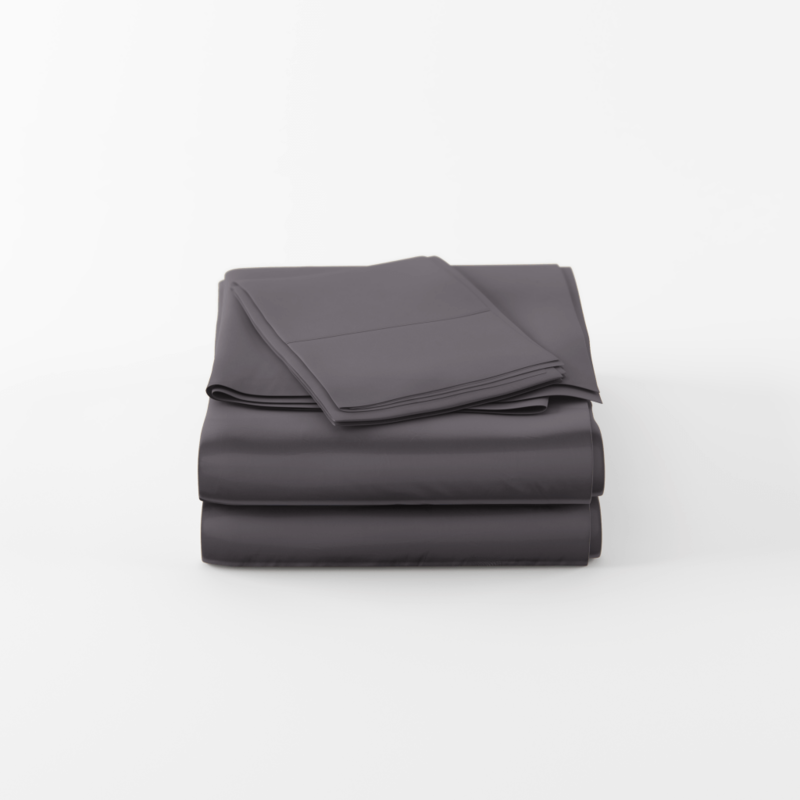 The counterintuitiveness of it all is what makes it so frustrating: at midnight you’re wide awake, full of energy and ready for bed, but when the morning comes you’re so comfortable under your covers that it’s so incredibly difficult to get yourself out. 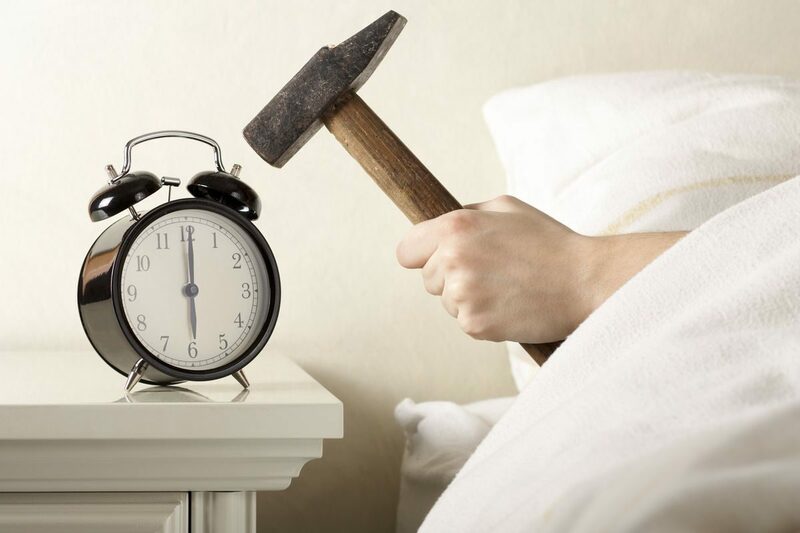 We can all use a helping hand to get out of bed in the morning, so we put together this quick guide to help you accomplish this enormous feat. I know, easier said than done. When that alarm goes off in the morning, every fiber in your body is telling you to hit snooze for 10 more minutes of pure utopia. But here’s the thing, you should AVOID THE SNOOZE BUTTON LIKE THE PLAGUE. Sorry, caps. When you hit that evil button, your body falls back into a deep realm of sleep, thinking it’s rest time again, and when you finally pull yourself out of bed, you’ll wake up feeling groggy and never truly alert. Put some sharp metal spikes on the button so you’ll never want to hit it again. 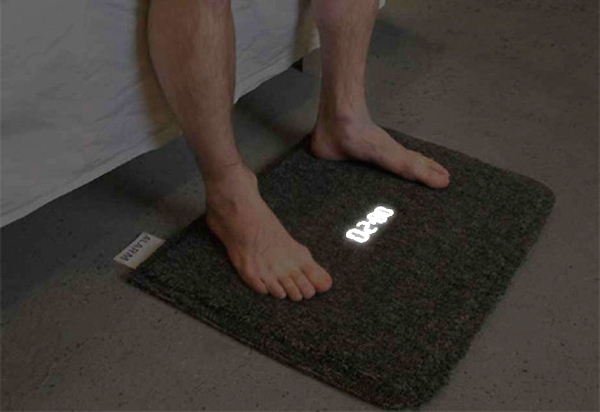 This genius invention looks like a carpet but acts like an alarm clock. 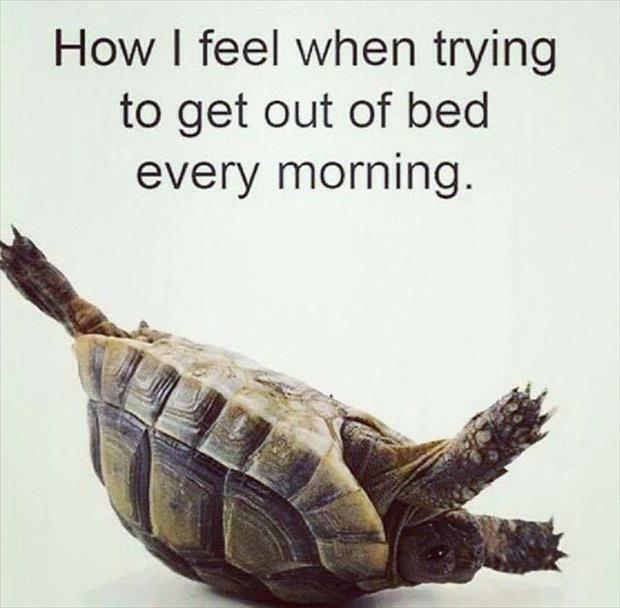 The difference is, you actually have to get yourself out of bed and step on it to turn it off when it rings in the morning. If you don’t, you’ll have to lie there with the annoying sound of the alarm going off until you actually get up. If you don’t want to buy one of these gadgets, simply put your alarm clock on the other side of the room as a similar way of forcing you to get up to turn it off. Tough love, but it works. Not too much that it’ll wake you up in the middle of the night but enough that your bladder will be ready for clearance when the alarm goes off. The feeling of having to go to the bathroom will keep you from dozing back into a slumber and force your way out of bed. Not the most joyous way to get yourself out of bed in the morning, but a natural one nonetheless. 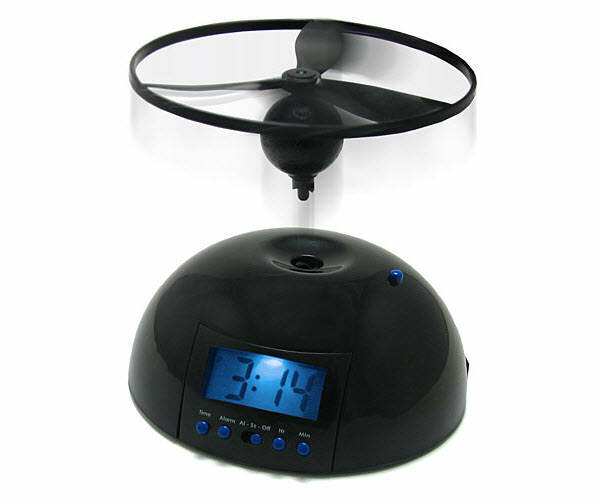 Similar to number two, this alarm clock forces you to get out of bed in order to turn it off. Here’s how it works: When the alarm sounds, the propeller launches into the air, releasing the key to snooze. The alarm continues to go off until you catch and place the propeller back in the return station. Get your day started with a Flying leap out of bed! It’s effective, AND a great conversational piece as well! Yes, I mean that literally, but I also want you to pay attention to this sentence. Get up and go. Those should be your only thoughts when your alarm goes off in the morning. Get up and go. Forbid yourself from having any other thoughts when your alarm goes off in the morning or else you’ll drift back to sleep. Just silently repeat the magic phrase: “get up and go, get up and go, get up and go.” Paint those words on your ceiling if you have to. Here’s a fun way you can get out of bed more quickly in the morning while getting your friends or co-workers involved. Make a challenge with someone you see every morning to show up on time – with a monetary responsibility. For example, if you’re not at the office by 9am, you have to put $1 in a jar. At the end of the month, you can use the money to buy something for the office. When there’s money and bragging rights on the line, you’re bound to be more disciplined, right? Win-win for everyone. 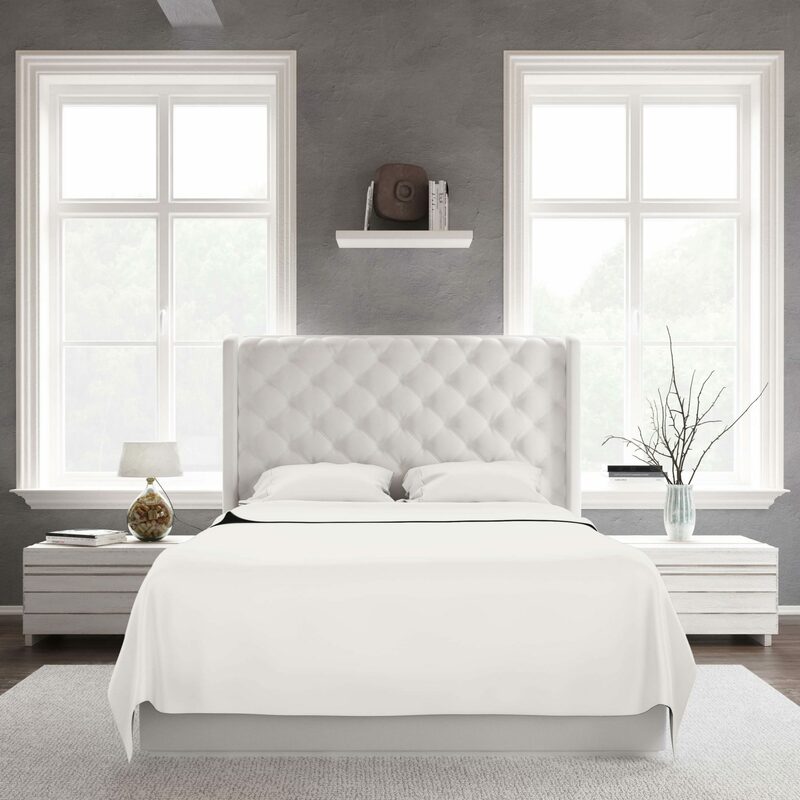 If you have a hard time getting out of bed in the morning, you’ll want to avoid soft, silky, luxurious sheets like the ones we sell on our site. Their comfort makes it so difficult to get out of bed in the morning, you’ll have to employ every tip on this list. But if you think you can handle it, go ahead and give them a shot… don’t say we didn’t warn you!